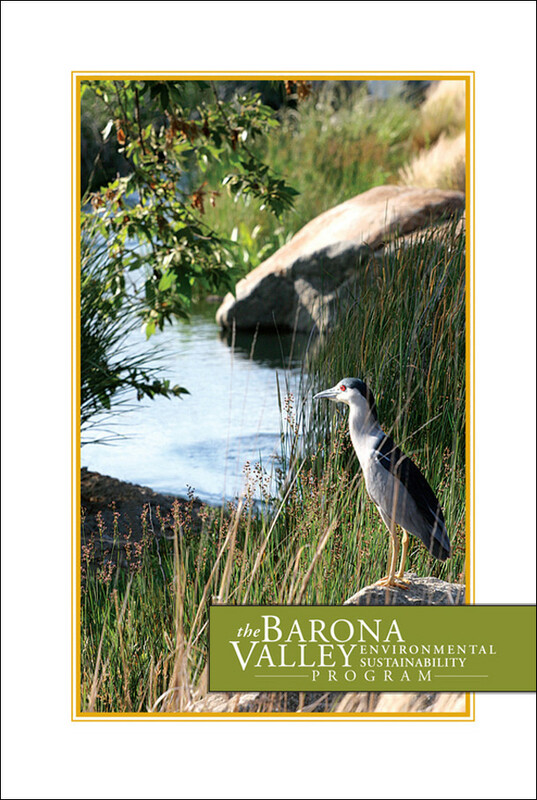 The Barona tribe has one of the most sophisticated water treatment plants in the country and has committed itself to stewardship of the land in a significant way. 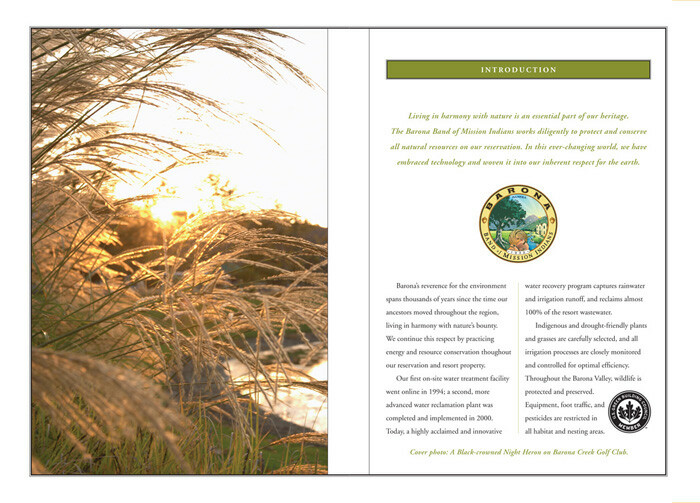 All landscaping on the property is irrigated through computer control drip systems and the golf course is a certified Audubon Wildlife Sanctuary. 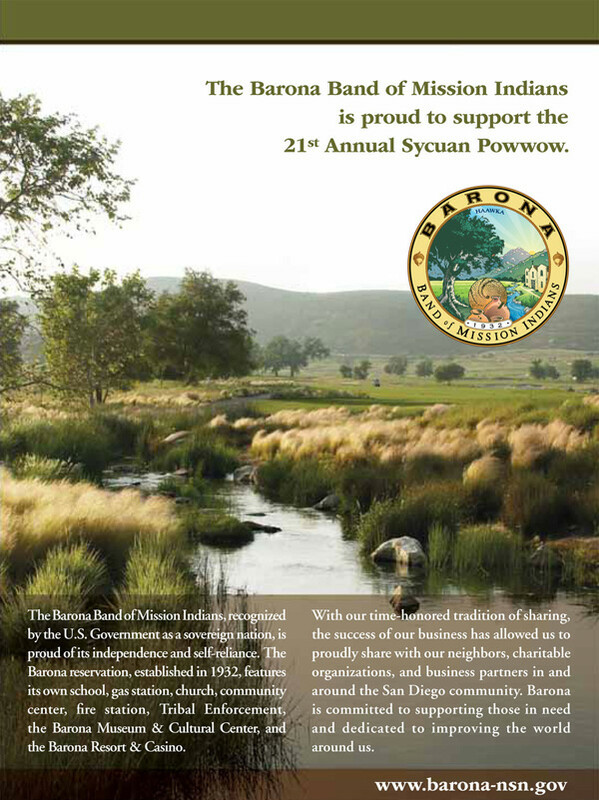 The goal of this campaign is to distilled and present the nature and essence of this commitment to the public at large and bring more awareness to the deep commitment the tribe has to this stewardship. 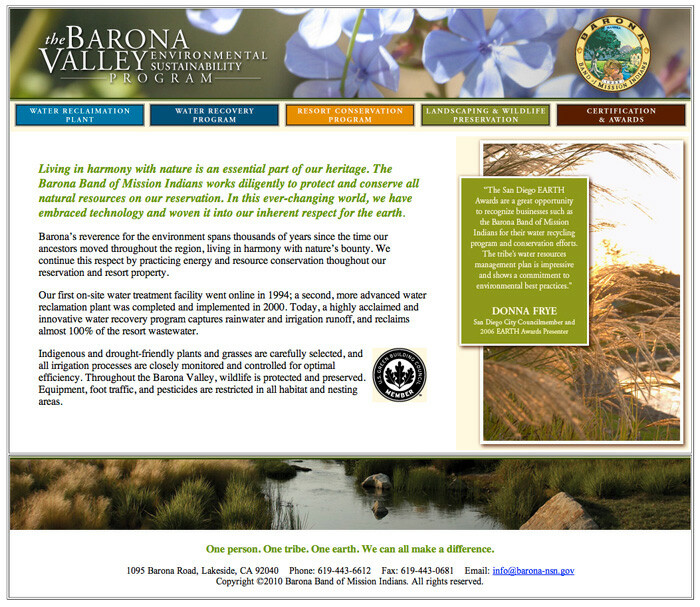 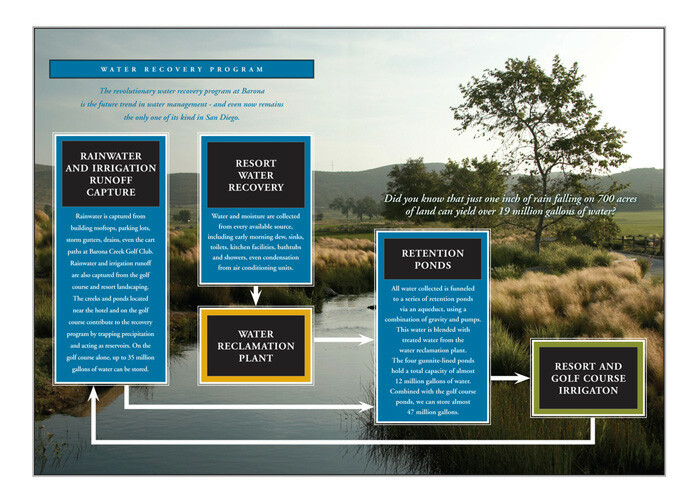 Environmental Sustainability Communications Package created for the Barona Band of Mission Indians.